Looking for a perfect starter home,this is it, great location, walk to Prescott School, close to everything, Rte 1 and 95, T station, shopping and more. 1st floor bedroom with ceiling fan, new full tiled bathroom with tub and shower, living room, dining room, hardwood floors and eat-in kitchen with ceiling fan, 2 bedrooms upstairs with ceiling fans, semi finished basement. Updates include heating system,windows, doors, full tiled bathroom and more. Large level fenced-in yard, paved driveway. 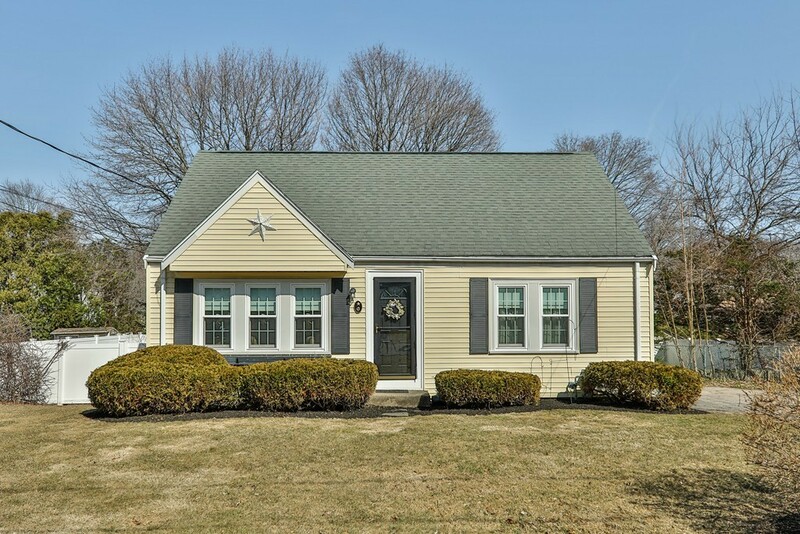 Don't miss this wonderful opportunity to live in Norwood for under 400K.